Below are some of my favorites among the Buddhist books I have recently reviewed. Be sure to check the Children and Teen Buddhist Book List as well. This 46-page e-book is drawn from my articles on BellaOnline, but includes contemplations and meditations that you can try to connect to the teachings directly. 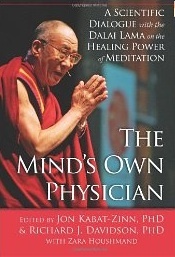 The Mind's Own Physician: A Scientific Dialogue with the Dalai Lama on the Healing Power of Meditation provides a fascinating overview of the current scientific findings on the benefits of meditation and mindfulness practice, including how they impact the brain and facilitate healing. A Lamp in the Darkness: Illuminating the Path Through Difficult Times, by celebrated American Buddhist author and teacher Jack Kornfield is a beautiful and warm book/CD combo offering meditations for moving through the most difficult phases of our lives, including illness, loss, betrayal and more. The latest book from Lama Surya Das, Buddha Standard Time: Awakening to the Infinite Possibilities of Now, starts out for anyone that finds themselves saying "I just don´t have enough time." It gradually progresses into a profound contemplation on the nature of time, how it shapes our identity and culture, and what it means to relate to time in a different, spiritually-based, way. This excellent book and DVD combo is one of the few detailing Bon Tibetan energy practices - breath and chakra (energy center) meditations - in an accessible and down to earth way that anyone can benefit from. Blue Jean Buddha is a wonderful and diverse compilation of essays from young Buddhists on what Buddhism means to them in 21st century America. The Dhammapada is one of the most revered and well-known Buddhist writings. It contains direct sayings of the Buddha. This lovely little translation is simple, straightforward, and fits in your purse or pocket! This lovely book offers accessible and practical guidance for practicing the ten Buddhist 'paramitas' or perfections, in everyday life. Written by a Zen priest and author of the popular Momma Zen, Hand Wash Cold is part memoir and part manual for living the life we have now, in the now. In this latest book by the author of Buddhism Without Beliefs, the author recounts his experiences as a Tibetan and then Korean Zen monk, his research into the Buddha's life, and how he has come to be a 'secular Buddhist', with an agnostic position towards the doctrine of rebirth. This latest book by Sylvia Boorstein, a founding teacher for the Spirit Rock Meditation Center, shows anyone how to incorporate Buddhist metta (lovingkindness) practice into daily life. This book offers great insight into mindful parenting for anyone, Buddhist or non-Buddhist, and shows how Buddhist philosophies and practices can be applied to our daily lives. Buddhist nun Pema Chodron's latest book offers insight into how we can work with the triggers of our daily lives, and transmute them into opportunities for spiritual growth and awakening. Drug and alcohol addiction is a huge source of suffering for many, and Buddhist teachings address the causes of suffering head-on. 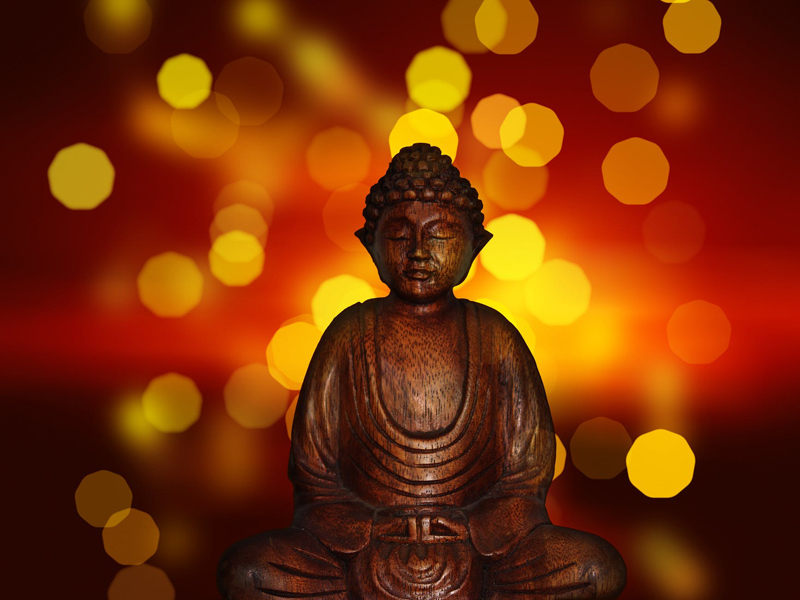 The 12-Step Buddhist outlines a way to integrate Buddhist teachings with traditional 12-Step recovery programs, applying Buddhist teachings to addictions of all types. The Venerable Zen master, bestselling author, and peace activist Thich Nhat Hanh has recently re-released his lovely commentary on the Lotus sutra, one of the defining teachings of Mahayana Buddhism, which states anyone can become a Buddha. Yantra Yoga is one of the few Buddhist-based yogas taught in the West today. Learn more about this ancient practice, the definitive book recently published about it, and the Tibetan Buddhist school of which it is a part. The Tibetan Art of Parenting covers the cultural and spiritual beliefs that guide Tibetan parenting practices, from before conception through to early childhood. It covers Tibetans beliefs regarding karma, rebirth and subtle energies, as well as many pregnancy and childcare medical practices. Check out my favorites for kids and teens too.